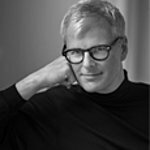 Chip Walker is a brand, business and cultural strategist who has spent his career at some of Madison Avenue’s legendary agencies. He’s led the strategy function at brand agencies (BBDO, Y&R), a marketing services agency (Wunderman) and at a digital/social agency (StrawberryFrog), giving him a truly multi-disciplinary perspective. How to Ensure the Quality of Neuro Measurements? What are the screensize limitations of eye-tracking? What is Causing Your High Bounce Rate? How to Increase Brand Stickiness? What Do Successful Ads Have in Common? How to Integrate Neuroscience into the Creative Process? What Are the Core Screen Rule Principles? How to Optimize Video Ads for Every Platform? How to Optimize Collaboration Between Practitioners and Academics in Neuromarketing Research? How to Conduct Neuromarketing Research in Real-World Scenarios? What Is the True ROI of Neuromarketing? How to Turn Neuro Data into Measures that Address Client Needs? How Do Counterfactual Emotions Improve Decision-Making? How Can a Common Vocabulary Result in Better Research? How to Onboard Neuroscience into Your Business? How to Compare and Validate Neuromarketing Measures?